Ever wished for a motorcycle used by Michael Jordan's racing team? Got $50,000 kicking around for a pair of kicks? Maybe you're looking for some original artwork to hang above the mantel? Upper Deck Authenticated can fill the void with their recently launched "Suite One-of-One," a line of ultra-select and very pricey sports collectibles. In one of the most prestigious offerings of modern memorabilia, the line focuses on unique pieces most collectors probably wouldn't dream of. 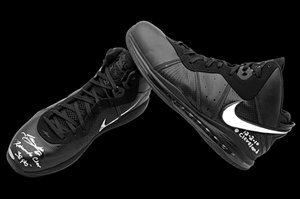 For a cool $50,000 one collector can dwell in the villainy of LeBron James' notorious return to Cleveland by buying the shoes he wore in the December 2, 2010 game. The shoes, which are autographed by James, also carry the inscription, "Return to Clev 38 pts" as well as "12-2-10 Cleveland." 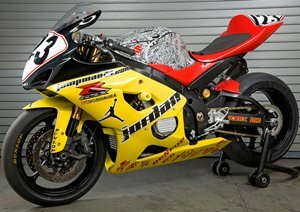 Slightly more practical (and $10,000 less) are a quartet of racing motorcycles owned by Michael Jordan's racing team. The bikes were used in competition. Each bike carries a $39,999.99 price tag. 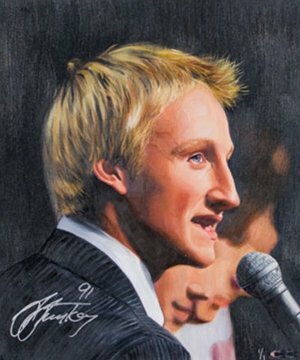 The Suite One-of-One "low-end" is highlighted by three pieces of original artwork from 2011 Upper Deck Goodwin Champions. 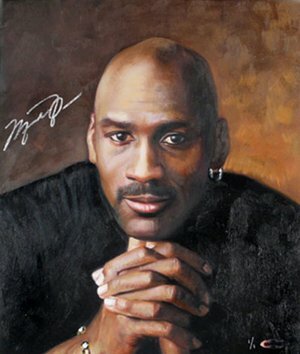 Collectors can buy portraits of Steven Stamkos ($1499.99), LeBron James ($2499.99) and Michael Jordan ($4999.99). Each of the pieces are numbered to one and are signed by the depicted star. The Suite One-of-One items are all available through the online Upper Deck store.